Learn about Rent Tracker’s rental property software for businesses. Includes info on Rent Tracker, free trials, pricing, customer reviews, and FAQs. RentTracker is a rental property platform for businesses. RentTracker’s solutions include a tenant database, rent tracking and lease management. Businesses can use Rent Tracker to efficiently manage rental properties. RentTracker gives you the first 3 tenant records free of charge. Additional tenants are charged at $0.50 each per month with a monthly service charge of $9.00. Pros: Great lease management with excellent tracking capabilities. Cons: The app crashes when deleting old records. Bottomline: Rent Tracker is a great way to manage rental properties. Is there a RentTracker free trial? Unfortunately no free trial is available for Rent Tracker. 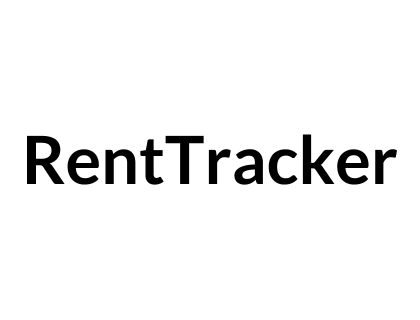 Where can I find the RentTracker login? You can go to www.renttracker.com and find the “Login” at the top of the homepage. What are some RentTracker alternatives? RentTracker - free and great for landlords.